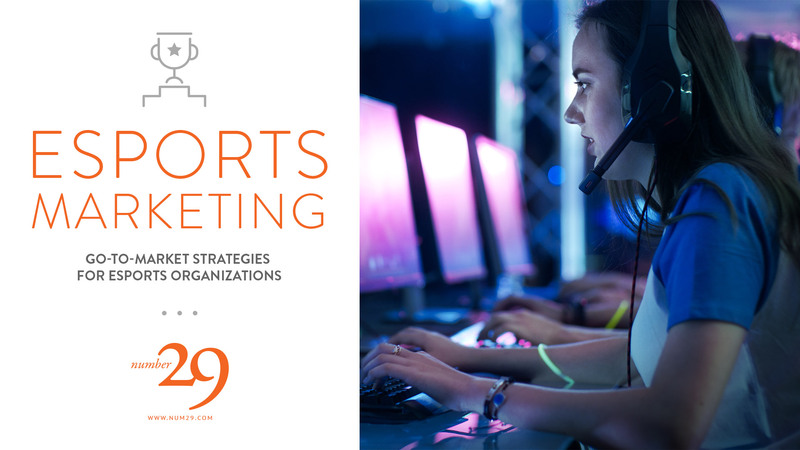 This article is the first in a series focused on esports marketing and go-to-market (GTM) strategies. Throughout the series, we will be looking at each of the pillars discussed below and breaking those down into smaller discussions to help you identify what approach is right for your esports organization. How will the esports space look in 5 years? Which platforms/developers will play a key role in that growth? How do we best position ourselves for success? Being such, this turning point in the history of esports is allowing professional esports organizations to grow quickly, garnering increased fan support, securing both endemic and (the highly coveted) non-endemic sponsorships and leveraging resources brought in through investors. One key component of this growth is an organizations expansion into other games and genres by either securing a team through a buyout or constructing a team with recruited players. Since it is difficult to earn enough money to create a profitable organization in esports right off the bat, this sort of team expansion is common, (and almost required) in order to increase your fan base, create additional revenue streams, increase exposure to prize pools and seek sponsorship opportunities. However, the downside to this sort of growth is the dilution of your brand segment messaging and player/fan identity within the organization. Suddenly, that content strategy you had been executing for your cornerstone game and a pre-existing team is being adapted and regurgitated for your new team, through existing channels. This recycling of content strategy allows an org to quickly hit the ground running using (hopefully) tried and true content strategies to engage a new audience. However, what it also does is dilutes the brands’ core messaging, confuses the fans because they now have to consider what is relevant to them and may decrease value to existing sponsors through fractured communications. I believe one area of massive opportunity for esports organizations is creating a go-to-market (GTM) strategy whenever they are planning to expand into a new game. By creating a go-to-market strategy, an organization can consider the messaging and positioning necessary to appeal to and ultimately grow a new subset community. If your organization currently only has a CSGO team, then adding a mobile esport team like Clash Royale or Vainglory is going to be drawing a completely different audience to your brand then if you were adding a Call of Duty team. These differences are not only in terms of the game/genre its self, but also the language, aesthetics, demographics, and potential sponsors that is relevant to your fan base. Being deliberate in how you are communicating to these subsets of your brand with distinctly different audiences can be an important step in reinforcing your brand rather than fracturing it. Team strategy — How you position a new team within a new game/community. Who are they, what is the team storyline? What merchandise can you offer to excite and activate this new audience? Do you have a promotion strategy to help amplify your message? Communication strategy — Which channels will be the most effective for this new team based on audience? How do you mitigate channel overlap and fan confusion? Is a mixed channel approach to marketing the right choice for you, or should you focus on single channel engagement due to regional interest, fan demographic or genre of game? Market strategy — What makes your team the best in this game and why should fans care about what you are building vs other teams (eg. value proposition)? What are your fan demographics, location, interests, and potential sponsors? Fan Experience — How do you engage and excite the fans of your new team to create action and loyalty? Is there a shared visual language, aesthetic, worldview that you can leverage? Are there promotions or sponsors that can speak to their particular game interest? Each of these pillars makes up the infrastructure of your team’s go-to-market strategy, while at the same time strengthening your overarching brand and community. By taking time to consider each pillar and have a deliberate plan for execution you can identify potential communication issues before they happen. You may even walk through this process and determine that what you are currently doing is going to be fine for the size of your organization and your present resources. This is fine too. However; what is most important is being considerate in how you are expanding your brand and taking sufficient steps to ensure its future success.